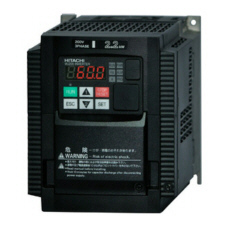 FREE SHIPPING on the L300P Series Inverters (ground service using our choice of carrier, within the contiguous United States only)Hitachi L300P Series. 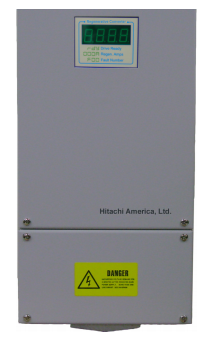 The Hitachi NE-S1 series can be easily operated with the digital operator provide as standard. Change and setting parameter by Keypad(NES1-OP). 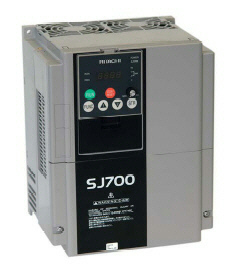 The digital operator can also be detached and used for remote-control. An operator with copy function is also available as an option. The Hitachi L200 delivers the cutting-edge functions you need and an ease to install and set up that you’ll love. 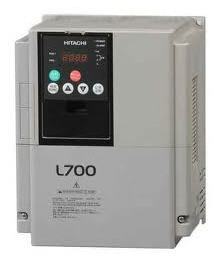 The Hitachi J300 Legacy AC Drive auto tuning sensorless flux vector inverter had features never before achieved in a drive of its type. 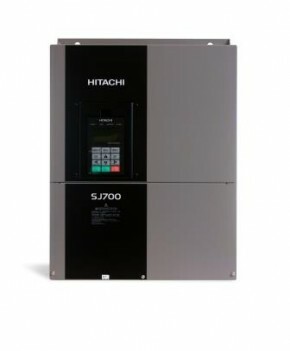 The Hitachi J300 Legacy AC Drive enables performance approaching that of a servo system, at low cost, with easy installation and setting, yet with features which benefit the broadest cross section of industries. 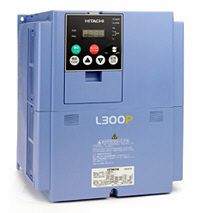 The Hitachi J300 can be fitted to almost any AC motor and appeals equally to OEMs and end users. Besides operation in connection with constant and variable. Load the voltage-to-frequency control alsoallos setting of parameter for a freely definable voltage-to-frequency characteristic, significantly expanding the area of application of these frequency inverter. 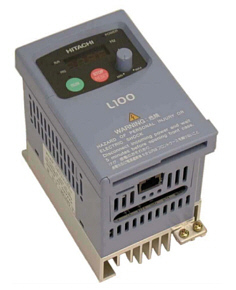 The Hitachi L300IP is a L300P redesigned into an IP54 casing. With all the features of the L300P accordingly. Its new casing makes it ideally suitable for use in food industries, air-conditioning technology (heating, ventilating, cooling), water treatment and cleaning as well as in many other stand-alone applications. The IP54 series is surprisingly compact in size and comes complete with an EMC Mains Filter as standard. 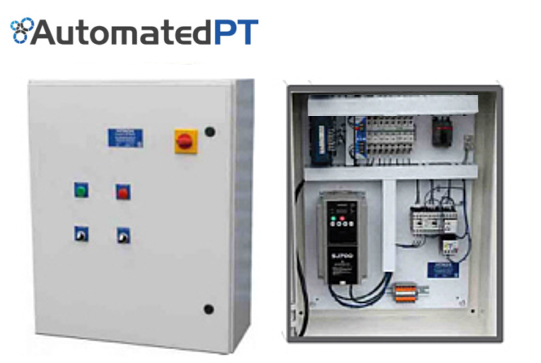 Further options are available such as input/output reactors and fieldbus communications options. 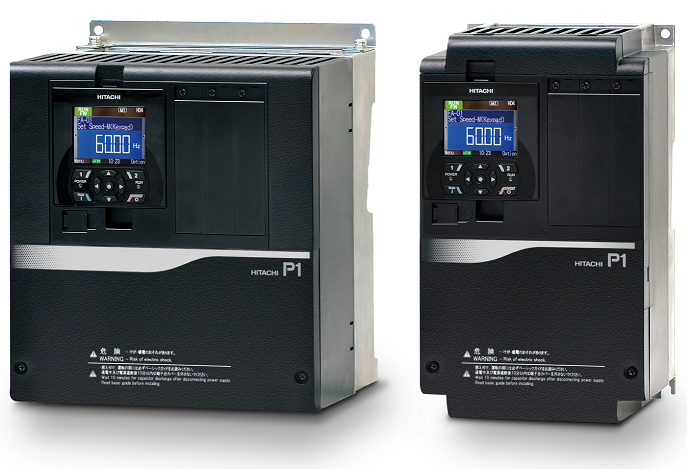 While the IP54 Series is ideal for stand alone motor control applications, Hitachi has addressed the potential for the products in systems by incorporating as standard PID control and RS422/RS485 communications. 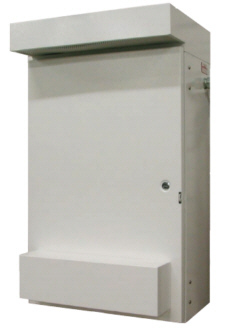 The IP54 Series is CE certified for low voltage and EMC Directives. Vertical lifting machinery or high inertia loads like elevators, cranes, centrifugal fans and centrifuges contain potential energy and inertial energy when operating. When the motor is operated by an inverter, this energy is converted back into electrical energy when the devices decelerate, lower or stop the load. This electrical energy, called regeneration, flows back into the inverter’s DC bus, causing the voltage to rise. Traditionally, this regenerative energy is dissipated as heat through dynamic braking resistors, and is therefore wasted. The RCU series Regenerative Converter can provide up to 40% energy savings, by reclaiming that regenerative energy and feeding it back into the AC supply. 3. Benefits. The RCU Regenerative Converter reduces electric power consumption by returning the otherwise wasted energy to the AC power distribution network for use by other loads. Because there is no heat generated by braking resistors, the capacity of air conditioning systems in the electrical room can be reduced, further reducing electric power consumption. Braking unit can cause the secondary problem of other system by heat from resistor when e-room’s air conditioner system has problem.